Dr. Daniel Greenstein became the fifth chancellor of Pennsylvania’s State System of Higher Education on September 4, 2018. In that role, he serves as chief executive officer of the State System, which operates Pennsylvania’s 14 public universities, serving more than 100,000 students. 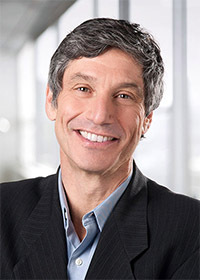 Before joining the foundation, Greenstein was Vice Provost for Academic Planning and Programs for the University of California (UC) system. Sen. Jake Corman was elected to the Senate of Pennsylvania in 1998. He represents the 34th Senatorial District, which includes all of Centre, Mifflin, and Juniata counties and part of Huntingdon County. 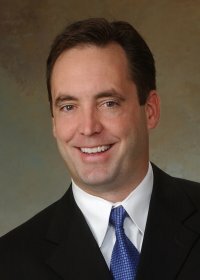 Sen. Corman serves as Majority Leader of the State Senate, a position which he was first elected to by his colleagues in 2015. As Majority Leader, Senator Corman sets the legislative agenda, develops policies and strategies for the Senate Republican Caucus, and chairs the Senate Rules and Executive Nominations Committee. He also plays a major role in negotiating issues with the Administration and House of Representatives as well as supervising action on the Senate floor. 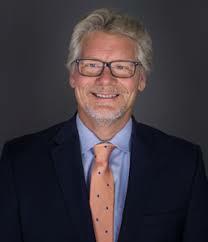 Sen. Corman obtained an Associate Degree in Communications from the Pennsylvania College of Technology and a Bachelor of Arts Degree from the Pennsylvania State University. He is married to Kelli Corman. They are the parents of three children – Isabella, Davis and Jacob. The Corman family resides in Bellefonte, Centre County. Our first PA Press Club luncheon of the year is TUESDAY January 29 at noon at the Hilton. This is the only Tuesday lunch on our schedule. Our speaker is PA House Majority Leader, Bryan Cutler. Tickets are $30 per person or $300 for reserved table of 10. Payment is required in advance and can be made payable to the PA Press Club by check or Visa or MasterCard. If you would like to attend, please RSVP to info@papressclub.org by January 24. If paying by credit card, please include number, expiration date, security code and billing address. The schedule for upcoming PA Press Club luncheons can be found on our website www.papressclub.org and you can follow us on Twitter at twitter.com/PAPressClub.